I am feeling very wistful, especially as summer is winding down, the new school year is right around the corner, and my daughter is turning double-digits this year. As I watch her develop each day into this magical, magnificent creature—there are moments when my breath gets caught in my throat and my stomach clenches into a knot, as I desperately wish for it to last just a bit longer. She and I had a sleepover this weekend, camped out in her bedroom. Just before drifting off to sleep she shared some precious thoughts about what goes on in the beautiful head of hers. It wasn’t just the views she put voice to, but the mere fact that she trusted me enough to share them at all. These moments, when I create the opportunity for them to arise, let me know I am on the right track for the relationship I want to create with her. Mothers and daughters share a unique bond. Though one is not quite a woman and one, in many ways, is still no longer a girl – they each bear the qualities of each other. 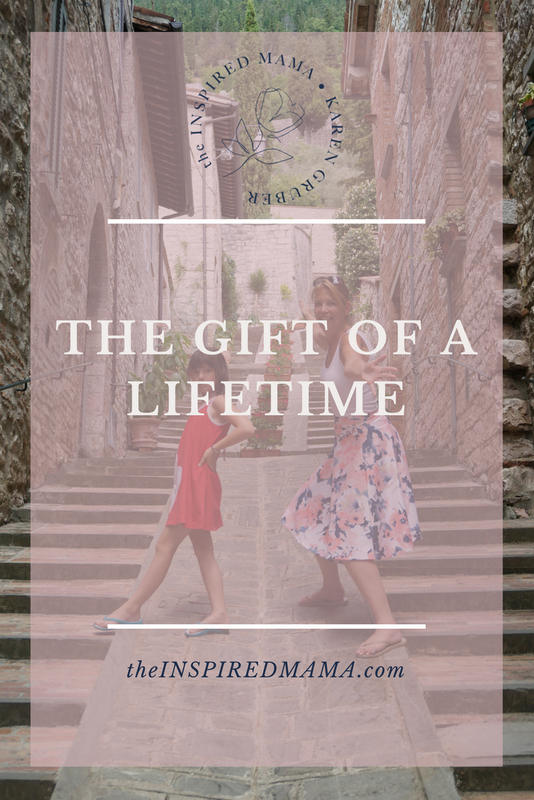 Every mother has a different hope for her daughter, yet the overarching themes tend to be that their daughter grow to be strong, independent, caring, and giving. A mother’s dream is to know that her daughter is happy, confident, and kind to all. There is a weird expectation that our daughters at some point are going to hate us, and that we as mothers are just supposed to “wait it out” and “hope for the best”. Why on earth, when our daughters need our love, our reassurance and our guidance most, would we ever leave them and “hope for the best”? I have always believed in “get them while they are young”. By creating a relationship and being a mom that my daughter can trust, can rely upon, can have fun with—being with mom and working together to overcome obstacles is the norm. By establishing these practices early, she will know she can depend on them when she requires them most. Given the proper tools, you can build your relationship with your daughter to be unshakable…strong enough to last the bumps along the way and the tests of life. Though there’s not a moment to lose, it’s never too late to begin. With each new day comes renewal, forgiveness, and a positive step towards creating once again. There are four key elements to obtain and maintain a relationship with your daughter that will last a lifetime! 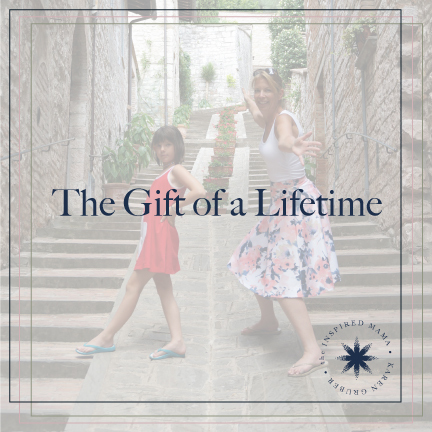 Because of your efforts in developing this relationship now, not only will you enjoy a close unique friendship with your daughter, you will also pass on to her the wonderful gift of future strong relationships with her own children. TRUST. Without trust, any relationship doesn’t stand a chance! Trust often is confused as a “given”. A God given right! As a loving mother, your daughter has grown to trust YOU. She knows you will pick her up when you say you will. She knows that she is cared for and provided for by YOU. Your daughter also knows your love is unconditional and that regardless of her doings, you’ll be there. She might get yelled at, but she TRUSTS you above all. Realize that YOU have earned her trust through word, credibility, and actions. Our daughters need to understand that trust is patient. The small steps/small rewards process is a journey to gaining their independence. They need to take responsibility for earning the trust, and guarding it dearly, as one of the most valuable aspects of your shared relationship. When you, as her mother make this important, it becomes important. COMMUNICATION. When our daughters are born, we seem so in tuned to her needs. We know the difference between a hungry cry and a mad cry. We can sense the slight mood change and worry for hours that there is a cold coming on. We pay close attention to all of their needs and kiss them softly goodnight. There are so many different ways to communicate—and not just with words. Deep communication involves the delivery of our words, the tone of our voices, and the actions of our body. It is not about getting through – it’s about logical reasoning and openness to understanding another human being. With these practices in place, you are able to lay the strong foundation of open-minded, free exchange of information. Communication can be a “two-way street” or a single command. Your choice. EFFECTIVE LISTENING. Spend a lot of time listening!!! Effective listening provides an avenue showing insight into your daughter’s life. There is so much you can learn by listening and observing. Listening not only involves what your daughter says, it involves what others say too. This includes her friends, teachers, coaches and anyone she has contact with. Just listen – you’ll learn more than you can imagine. Listening is a crucial skill. Create environments of opportunity. When you are around your daughter and her friends – don’t talk – just listen! The girls will be open with their conversations and you’ll be able to interpret not only the quality of her friendships, but the collective views of the group. This can be very valuable in future conversations you may have with your daughter. It’s also a great way to get to know her friends! LETTING GO. Letting go is the ongoing process we all deal with. When, how, just enough, not too much. Knowing when to allow your daughter to find her way and knowing when to hold her hand and guide her. There will be times when your heart breaks for her, when you wish to erase her pain, take her place, her path – but the same lessons we’ve learned, so will she. Realize we can’t (and should not) always shield her from everything. Looking back on our own life – some of the most painful situations taught us the most powerful life lessons. Whether that was empathy and compassion for others, or our ability to forgive and move on, or just how resourceful and resilient we really are. In being there for your daughter, while letting go—you provide the strength she’ll need to stand on her own. Through pain we grow and through growth we become whole. Sometimes there are no words, sometimes silence, solidarity and love speak louder than any great speech. Letting go is a natural process of love. Be present for your daughter…be present as a friend, a parent, a role model, a mother. Strengthening and enjoying your Mother + Daughter relationship is the best gift you will ever give to both yourself and your daughter. Looking to set yourself up for more success in your relationships? Click anywhere in this box and schedule your FREE 30-minute Spotlight Discovery Session.